The #5 plastics keep rolling in! In the Richmond office, our #5 plastic recycling program has been so successful that we have a hard time keeping up! Thank you to everyone who brings items from home, helps keep the bins sorted properly, and especially to Ryan Pletz for taking these items to Whole Foods when we get a full load. 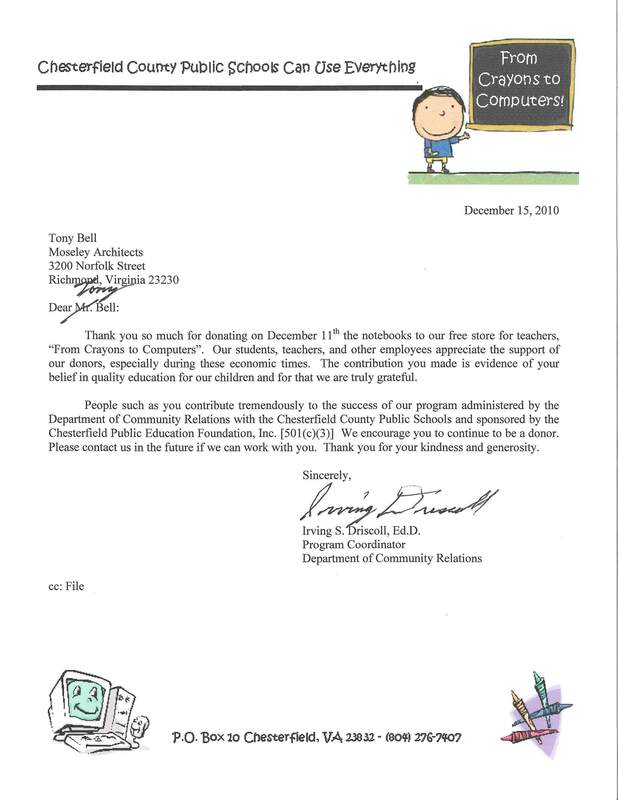 The Moseley Richmond office is collecting used three-ring binders for donation to Chesterfield County, Virginia’s “Crayons to Computers” program. 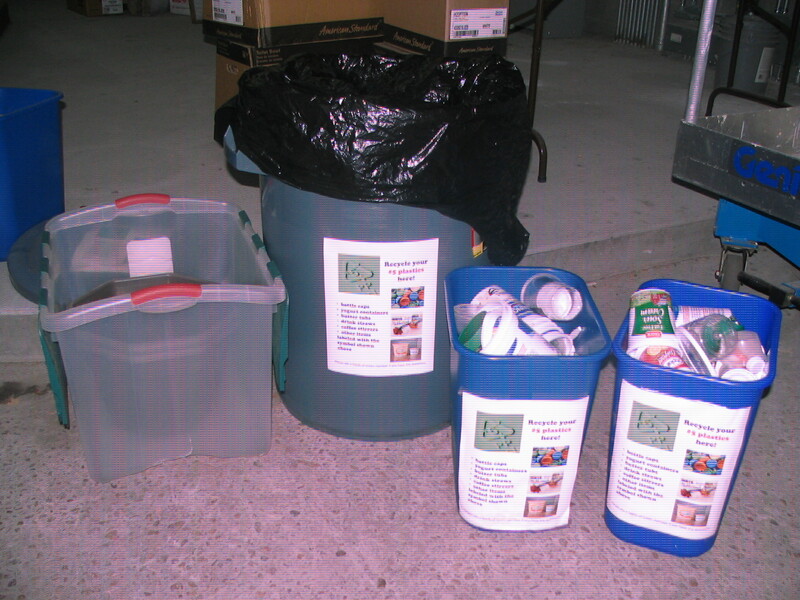 The program provides donated office supplies to schools, to be used by teachers and students. Donated items are taken to a store where teachers can “shop” for them free of charge. 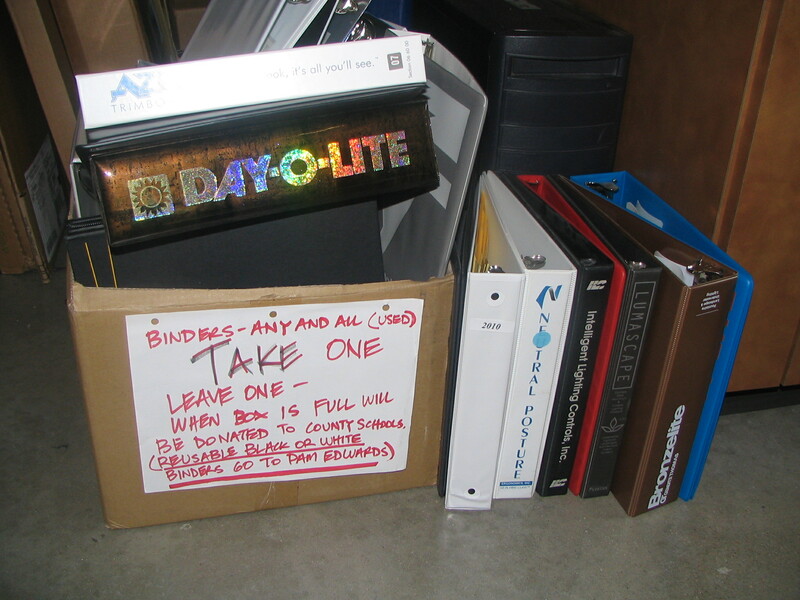 We find that we generate a lot of binders, from vendors particularly, that can’t be reused in the office. Richmond employees, you can find the collection box under the counter in the library. A special thanks to Tony Bell for suggesting the idea and for volunteering to take the donated items to Chesterfield as needed.